New devices and equipment appears to be making its way into our offices every week and it can be incredibly important for your business to consider making a few upgrades every now and again. Whether you are a large corporation or an SME, you should be taking a regular look at the hardware you use on a daily basis and making sure it’s reaching its full potential. Can Android operate on PC? Android has taken over majority of market of smartphones all around the world. Its main competitor is Apple’s iOS. However, both Android and iOS exhibits many similarities, but there lies one major difference which is that iOS is proprietary, while Android is an open source which means that any person can have an easy access to the Android. To join in the tablet war HTC had announced about their tablet HTC Flyer a fair time ago and now is the time when user will start to get their hands on it as HTC Flyer is will now be available from best Buy Stores from May 22nd. Everyone wants to keep his PC data and information safe and secure but this becomes impossible when a person connects his PC to internet. There are a number of security threats – Trojan horses, spyware, and viruses etc- to which a computer exposed off when a person used the internet. Although installation of some security applications can protect the PC to some extent yet there is still need of some way with which the private and important data of PC can be protected from the attack of viruses. 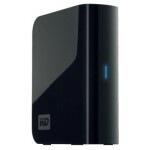 One can protect his files , personal and financial information by using an external hard drive. AMD ATI 5830 Graphics Card review and Steam for Mac? Gaming and Mac are not at all synonymous, Steam and gaming however are frequently used together; the rumor mill suggests that Steam might soon be available on the Mac. ATI has gone from strength to strength ever since they were taken over by AMD, they became the graphics company with the cutting edge in gaming graphics hardware and ATI also started capturing a far larger segment of the market with its Radeon line of graphics cards which they are consolidating with the launch of the AMD ATI 5830 graphics card. Just recently we covered Superspeed USB 3.0 peripherals by Belkin and Solid State Drives by SanDisk and today we shall preview a similar technology by Buffalo. In this post we will preview a product that will actually be capable of utilizing some of the capabilities of Superspeed USB 3.0 and therefore the peripherals made by Belkin and other companies and that is the Buffalo DriveStation HD-HXU3 external hard drive. 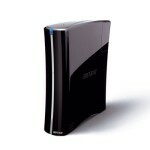 SSDs or Solid State Drives are by no means a new phenomenon but as of yet have limited exposure in the market. USB 3.0 has been around for a while now but as with Solid State Drives (SSDs) there has been a dearth of products and those that are available are still beyond the reach of the average consumer. Belkin recently released USB 3.0 Superspeed products including a PCIe card, cables and also a Superspeed USB 3.0 Expresscard for use with laptops. SanDisk meanwhile are starting to ship 60 GB and 120 GB G3 SSD to North America and Europe. Lenovo Thinkpad SL410 is one of the exclusive models of laptops that are integrated with state of art technology. SL410 ThinkPad is always an ultimate choice of all businessmen as it fulfills fundamental requirements of every field of growing commerce and industry.14-inch display of ThinkPad gives it an attractive and stunning look that’s why it is appraised by a number of user. Technological advanced lenovo ThinkPad SL410 is a light weight laptop as compared to previous models of ThinkPad that are already available in the market. As you can imagine from the title, Razer (an American company that specializes in making high-end keyboards and mice aimed particularly towards gamers) has developed a new breed of gaming mice (terrible pun, I know) aimed particularly at the ever burgeoning MMO (Massively Multiplayer Online) games market. 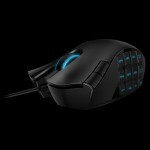 People who purchase the Razer Naga can expect a gaming mouse that features what looks suspiciously like a number-pad. Many have beaten us to the punch with this product, but better late than never we always say. The Evoluent VerticalMouse has been around since as far back as August 2002 that we know of, regardless it has only come to our attention now and through us will be showcased to you.